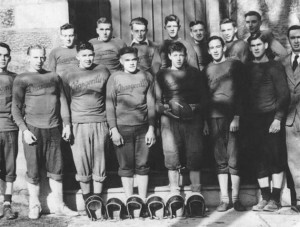 1948 Orangeville High School champion ‘rugby’ team, left to right, back: Howard Lovell, Jim Lott, Ralph Mason, Jim Welsh, John Richardson, David Scott, Ed Woodland; front: Bill Dodds, Mel Rennick, Bob Thompson, Gerald Pendleton, Harry Cumings, David Brotherston, Bruce Burch, Coach Donald Thiers. 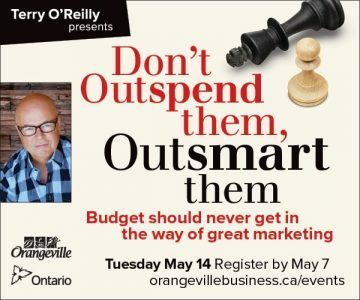 Over lunch at Orangeville’s Greystones Inn, the good-natured quips rise above the din created by a dozen men dining out on the stories of their youth. All the men are in their early 80s. Some see each other regularly, others have joined the crowd for the first time in decades. What they have in common is an allegiance to the red and blue of Orangeville High School. 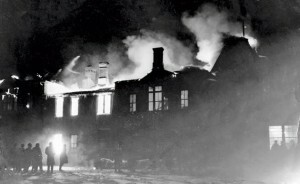 All attended the old “school on the hill” in the final years before it was gutted by the great fire of February 1, 1948. Jim Welsh, who graduated from the high school’s commercial stream in 1950, launches into the story of the fire. “We lived at 11 First Avenue in those days, two or three houses down from St. Mark’s Church. After supper I’d gone up to visit Terry Webb. His dad was the fire chief, Fred Webb, and he owned Webb’s dairy bar (located at 5 First Street). We were hanging around the dairy bar. It was a very cold, blustery night and the snow was waist high in the campus of the high school. People were either at home listening to Lux Theatre on the radio or at St. Mark’s. Within a week the legendary Maurice Cline, who served as the school’s principal from 1941 to ’69, the nine teachers and the school secretary had commandeered classroom space for 230 students in several locations around town: in the Oddfellows Hall, above Patterson’s Furniture store on Broadway and in four different churches. Jim Lott, class of ’51, remembers the basement of First Avenue United Church was “so cold and drafty I had to keep a hand on my textbook or the wind would blow the pages closed.” Relief came when the new high school opened in 1951. By that year, most of the graduates sitting in Greystones more than 60 years later had moved away to take jobs or attend university. A few came back and a couple, such as Welsh, never left town. Welsh retired in 1985 as purchasing manager at Camco’s small appliance manufacturing plant, located where Home Depot stands today. One day five years ago, he ran into Jim Wardlaw, class of ’49, at the Orangeville Mall. Wardlaw, who had returned to town in 1956 to practise law with his father, Norman, had been getting together fairly regularly with David Scott, class of ’50, a general surgeon who came back in 1962, and Mel Rennick, class of ’49. Rennick became a mining engineer and worked in northern Ontario for years before retiring in Toronto. When Welsh joined the group at their next lunch, they naturally asked if he knew the whereabouts of other classmates. They asked the right guy. Welsh is an amateur historian and avid collector. 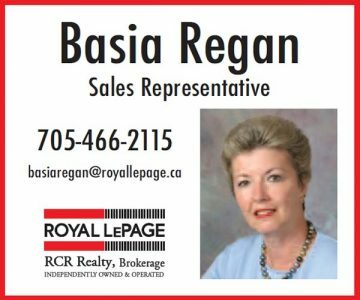 The bedroom of his tidy Orangeville condo boasts a display case filled with family cap badges and insignia from the world wars, his bookshelves are lined with regimental and local histories, and on his wall is a framed black-and-white photo of the rollout of RL-201, A.V. Roe’s CF-105, better known as the Arrow. Welsh was in Malton the day that plane flew, as well as the day it was cut to pieces after the Diefenbaker government cancelled the fighter jet manufacturing program in 1959. Welsh picked up the phone and started calling around town to relatives of his former schoolmates. Before long he had a list of 33 names, phone numbers and email addresses. He later tracked down the “girl” grads, and they joined the “boys” for a big gathering in October 2012. Many of the grads played sports together. From Grade 1 through 13, they were with the same boys in the same classes, and as the seasons changed, they moved together from rugby to hockey and basketball to lacrosse. In those days high school football was still called rugby. Six players, protected by lightweight leather shoulder and shin pads, as well as helmets that looked more like hats, took to the field at one time. Welsh, Dave Scott and Harry Cuming quarterbacked the team. Harry was a tremendous athlete, Welsh notes, and became a bank manager in North Bay, though he is not well enough to attend the group’s lunches. 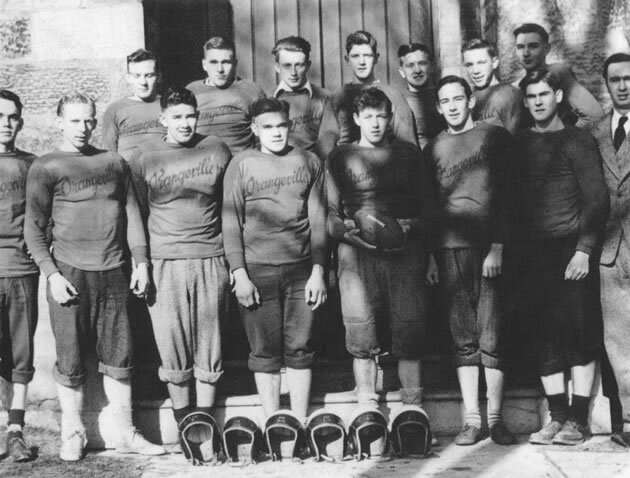 As if to counter the destruction of their school in the winter of 1948, the footballers brought glory the next fall, when they beat all comers, including Listowel and Acton, to end the season undefeated and capture the Ontario Rural High School League championship. One out-of-town newspaper reported this was the first time an Orangeville high school team had won a regional rugby championship, a big deal for a small town. Jim Lott, aka “Bimbo,” grew up near the old arena on Elizabeth Street and was a halfback on the rugby team. His dad, a mechanic at Bryan’s garage, died when Lott was 10, leaving his mother to raise three children on her own. She supported the family by working at Smallwood Pharmaceuticals and somehow found time to cook for all the “skinny guys” in the neighbourhood. Dan Webb remembers Mrs. Lott’s wonderful homemade bread and head cheese. Lott followed his older sister into teaching “back when they put you into a rural school with no training,” he says. He upgraded his education over the years, retired as a public school principal and now lives in Tottenham. His biggest surprise since starting to attend the gatherings? What became of Bill Waters, class of ’50. Bill was adopted by Miss Edith Waters, “a good Christian lady” in her 50s and a former T. Eaton Company seamstress who had moved to Orangeville from Toronto to care for her aging parents. Miss Waters was as parsimonious as she was devout, but she backed her boy Billy’s business ventures – the legitimate ones at least. “I knew from an early age I didn’t want to live out my old age like my mother,” says Waters. At a time when many boys in town had one paper route, he had three. When he ran out of feed for the 300 capons he was raising beside their house on William Street, Miss Waters footed the bill for the extra he needed and put up with the smell, the noise, and an epidemic that killed 30 per cent of the birds. Bill sold the remaining healthy birds to butcher Bill Stirton and grocer Carm Davison. This venture ended suddenly when Bill was arrested. It was 1953, and Orangeville and Shelburne were dry. A pair of OPP cruisers bracketed his cab one day while he was delivering a bottle of rye to a customer. Charged with illegal possession of liquor, he got off with a fine, but his bootlegging days were over. He returned to the aircraft industry and for the first time contemplated a university education. Today, Waters is a professor emeritus of economics and business at the University of Toronto’s Rotman School of Management where he taught for 36 years, and he has donated millions of dollars to support non-traditional students’ pursuit of higher education. By Welsh’s count, the grads of that era include at least five engineers, three lawyers, three professors, three business owners, two doctors, two bankers, two geologists, an OPP officer, a hydro inspector, a liquor inspector, a draftsman, a salesman, a lineman, a farmer, a production worker, a real estate agent, a chartered accountant, a principal and an Anglican priest. 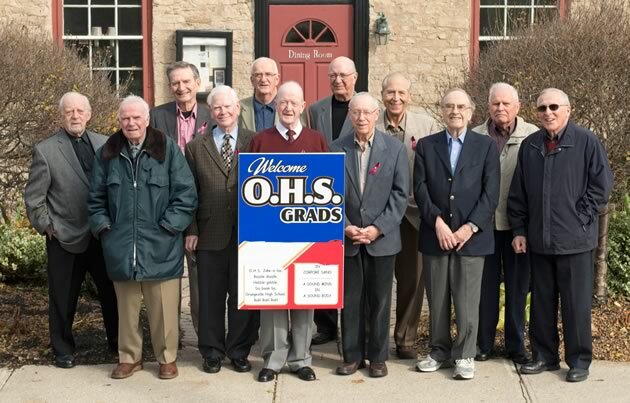 More than half a century later, grads of Orangeville High School still meet regularly for lunch and conversation. Left to right: Mel Rennick, Donny Evans, Stan Stych, Jim Wardlaw, Danny Webb, Jim Welsh, Ed Nodwell, David Scott, Martin Dambeau, Bill Waters, Ron Coles, Jimmy Lot. Photo by Pete Paterson. These postwar grads have done well for themselves. Why? Most would agree they are the product of hard work, single-minded focus, strong role models and good family support, conditions the men believe are as valuable today as they were when they were growing up. But are they any more special than the grads who went before or who came after them? “I don’t think so,” says Dan Webb. “We were lucky. After the war there was significant growth in the economy and opportunities everywhere,” says Waters. For what it’s worth, nine male alumni who graduated between 1949 and 1952 are recognized on Orangeville District Secondary School’s Wall of Fame. That’s out of a total of about 125 extraordinary graduates since 1884. I remember the Orangeville High School fire quite well, And some times l drove cab for Bill Waters. Rather help my father on the farm, l spent most of my time, In Morrson’s Pool room, Where Jr Jim Welsh worked ,Sometimes At the Arena for hockey and Lacrosse, And Singing and entertaining. the new school was wonderful. Maurice Cline was a good principal and only gave me one detention. It was fun to see the old picture. I even remembered some of them. down & all the tear s of the next day. One thing I do remember (I think) was the high school burnt down, the students went to the public school & we went to other places. I remember going to school at the Legion (must be their oldest member now)& the Odd fellows hall & the Fire Hall. It must be such a great time when you meet, it puts a smile on my face to even think of you old geesers. It was so nice to rec. 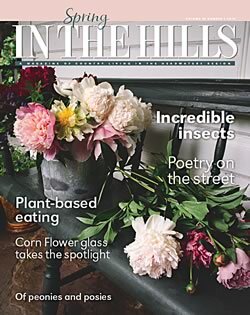 this mag. & I hope to have many copies in the future. I will forward this to my sisters Gwen & Emily & I am sure they will enjoy it as nuch as I did. I hope Clare Keeps me informed. 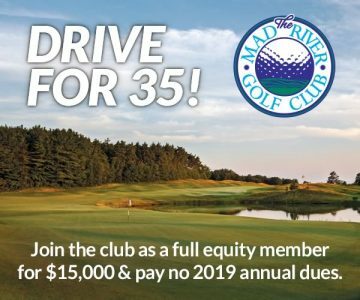 The Orangeville High School Old Boys of 1949–52 continue to meet informally every spring and fall as long as good health and numbers permit. Although Greystones closed this fall, they plan to invite the women grads for lunch once again – at a new location.